Time for brunch! I rarely brunch, but today was the day. Randomly ended up at Yaya's on a Sunday afternoon. It boasts using farm fresh and local ingredients. Sounds good! A quaint place with a raised seating area by the window. What made me love this place was the TV with a fireplace on the screen. A little corny, but still kinda awesome. I cannot say no to Eggs Benedict($14) or coffee($2), so the choice was easy. The coffee was a little strong, but good. Organic and fair trade, of course! Brunch arrived looking fabulous. After my plate's quick photo session, I dug in, but did not anticipate this little surprise; the yolk was bright ORANGE. Confused, I tasted it and it tasted like egg yolk, but certainly looked like it had come from a psychedelic chicken. We asked about the yolk and they don't know why it's orange. She said the owner picks up the eggs fresh every day directly from the farm. They assume because the chickens are grain fed all organic feed, that it affects the colour. Interesting. I feel like I should've seen orange yolk in my 30-something years of eating eggs. It all tasted fantastic, regardless of the freaky looking eggs. The housemade hollandaise sauce was perfect; not full of salt, just creamy goodness. The peameal bacon didn't even need a knife. So good! The homefries and greens were also very good. It was refreshing to be at a restaurant all organic/free range/fair trade that wasn't insanely expensive. The prices were comparable to restaurants that were not organic. This just shows that organic doesn't HAVE to cost more, Yaya's proved it. Would love to go back! 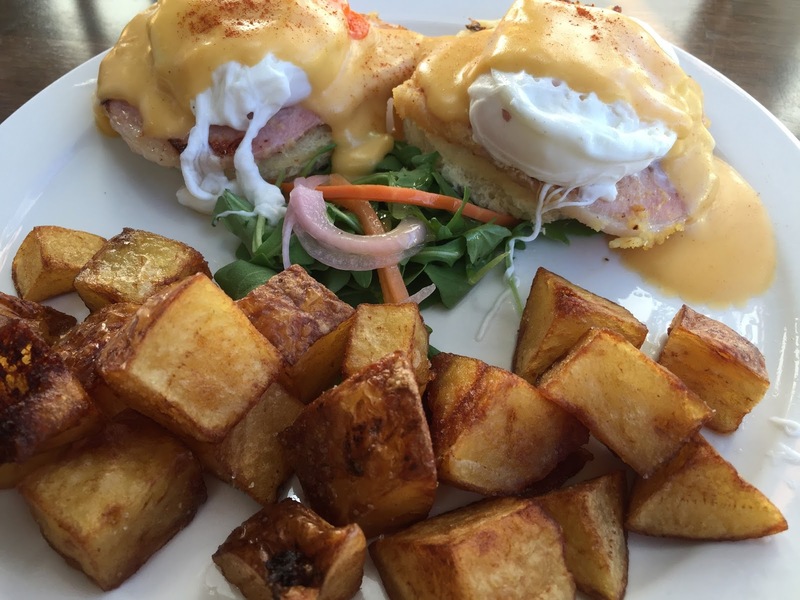 Brunch is starting to sound pretty good now!